As the 3D printing industry continues to grow, the capabilities of this emerging technology continues to shift and evolve. Across the 3D printing ecosystem, innovative new start-ups and ideas are fueling this growth. On the other hand, more established companies have continued to conquered the industry with extensive R&D and decades of experience. We will focus on the most innovative 3D printing companies within the additive manufacturing space, from young startups to longtime industry stalwarts. The following 40 3D printing companies have sparked innovation and/or have developed new processes and technology over the last year. This list covers the entire spectrum of the 3D printing ecosystem, including 3D printer manufacturers, industrial and consumer services, marketplaces, and materials. Note: The following companies are not listed in any particular order or rank. Instead, we have curated a random assortment of innovative companies that we believe are pioneering the 3D printing industry. If you think we‘ve missed any important 3D printing companies, please feel free to add your contributions in the comments section! What does this 3D printing company do? Affordable metal 3D printing. The Studio System is a printer that can fit on the desktop. It uses Desktop Metal’s patented Bound Metal Deposition (BMD) extrusion process, a technique that is similar to FDM 3D printing. It has a 50-micron layer resolution, automated bed leveling, and also a heated build area. The Production System uses a process called “single pass jetting,” taking less than three seconds to print a single layer. The printer deposits metal powder, followed by binding agent droplets that are “jetted” onto the powder. After heat is applied to bind the layer, the process quickly repeats itself. These printers are still quite expensive ($120,000 for Studio, $360,000 for Production), but compared to other industrial metal 3D printers, these machines are affordable considering what they offer. It clear that Desktop Metal has a lot of support from major companies. Earlier this year, the startup raised $45 million from the venture capital arms of Alphabet (Google), BMW, and Lowe’s. What does this 3D printing company do? 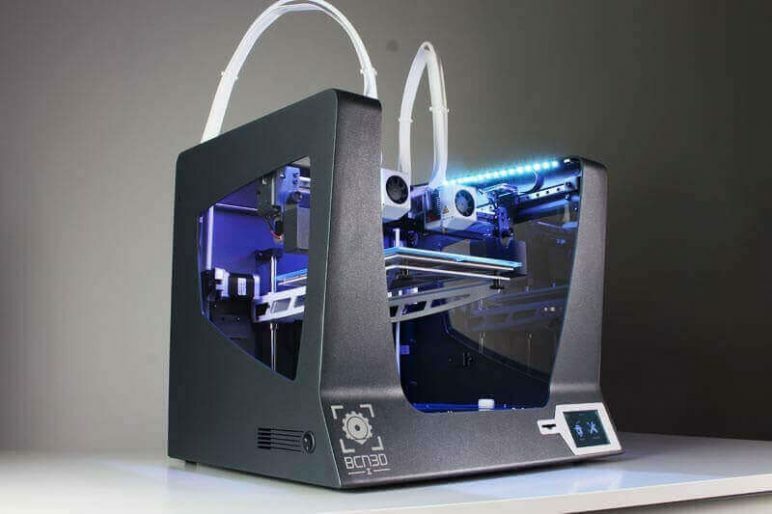 Accessible desktop Stereolithography (SL) 3D printer. Why is it one of the most innovative 3D printing companies? Founded by MIT graduates after a very successful Kickstarter run, Formlabs was the first 3D printer company to bring an SLA 3D printer to a mass market. Today, it has offices and two assembly plants in the Massachusetts and Berlin. Currently, the company is responsible for one of the most popular and highly related desktop printers on the market, the Form 2. This resin-based printer offers magnificent quality prints in a wide range of top-notch materials. Whether you’re a jewelry designer or dentist, the Form 2 is well suited for a number of applications. The $3,500 printer boasts a simple design and state-of-the-art user interface. This year, Formlabs has gone above and beyond by expanding their product line, keeping them at the forefront of 3D printing innovation. In May, the company unveiled the Form Wash and Form Cure, two products that will enhance the overall workflow for Form 2 users. The Form Wash is an automatic cleaning unit that “agitates” the printed object in isopropyl alcohol (IPA). Once the process is complete, the clean part is ready for post-curing in the Form Cure. Shortly after the announcement of these new products, Formlabs took things a step further with the new Fuse 1 SLS 3D printer and Form Cell. This compact SLS 3D printer is designed for the benchtop, and will offer the industrial power of selective laser sintering at 20x less the cost. On the other hand, the Form Cell will enable users to setup a row of Form 2 printers, the Form Wash, and a curing unit all in one integrated place. The system uses an industrial robotic gantry system to automate the entire printing process from start to finish. 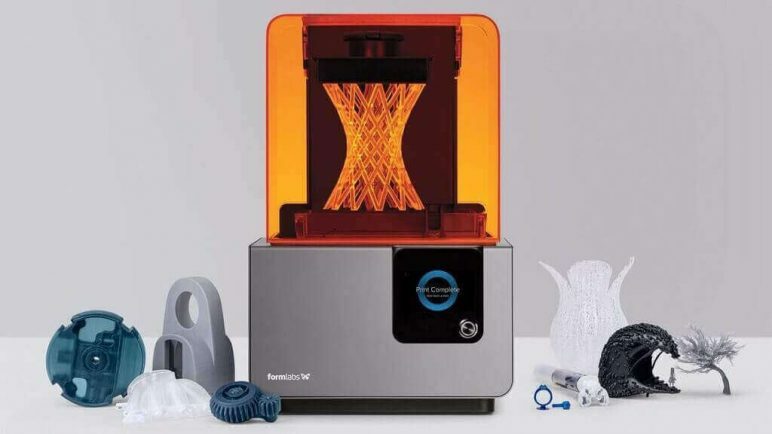 All in all, it’s clear that Formlabs isn’t just resting on the laurels of the Form 2’s success, but is instead expanding its reach to enhance user workflow and reach new areas of the 3D printing market. What does this 3D printing company do? 3D printing process (CLIP) and 3D printer platform (M1) with a palette of unprecedented industrial-grade materials. Why is it one of the most innovative 3D printing companies? 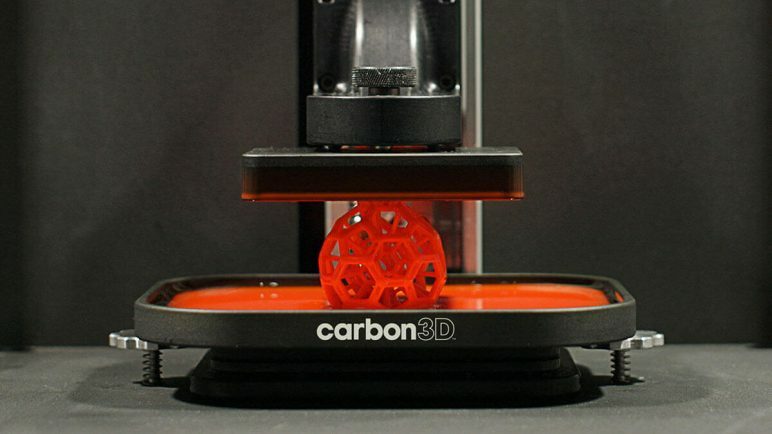 After building up an insurmountable amount of hype after revealing the CLIP printing process, the 3D printing startup Carbon delivered with the M1 3D printer. This machine is capable of processing true elastomer materials and producing isotropic parts with mechanical properties and surface finish that have not been achievable with 3D printing prior to its release. In addition, the CLIP process can demonstrably print parts up to 100 times faster than comparable 3D printing processes. Since the product launch last year, Carbon has continued to roll out an impressive list of beta testers that are all reporting impressive results, including Ford, Legacy Effects, BMW and a number of services. In the same vein, the CLIP process is available to consumers via long-standing 3D printing service provider Sculpteo. The company’s ultra-fast and reliable process has helped Carbon secure $81 million in funding back in September 2016. In 2017, Carbon has continued to impress. The startup has already released a new “SpeedCell” system and the industrial-grade M2 3D printer, setting up its customers with the ability to mass produce products and parts. Most impressively, Carbon has been working with Adidas on the new 3D printed Futurecraft 4D performance footwear. The sportswear company is planning to produce over 100,000 pairs by the end of 2018. What does this 3D printing company do? A professional 3D printer with a new proprietary process — MultiJet Fusion. Why is it one of the most innovative 3D printing companies? While HP is obviously not a 3D printing start-up, the tech giant’s venture into 3D printing has stirred up excitement throughout the entire industry. In 2015, HP introduced a completely new, and proprietary process that is set to change the landscape of the industry dramatically in the coming year. HP’s Multi Jet Fusion platform promises to improve strength and functionality — at the voxel level — with increased printing speeds and reduced costs (both capital and consumables). In December 2016, the company released its two printer models, the HP Jet Fusion 3D 3200 and HP Jet Fusion 3D 4200. The 3200 model is aimed for prototype design, while the 4200 is engineered for fast and efficient production. This year, their breakthrough technology has spread across the globe, and has also made a home in various 3D printing service bureaus, including Shapeways and 3D Hubs. HP’s 3D printing technology will potentially change the landscape of professional 3D printing, and we should definitely hear more about their printers throughout the rest of year. When was this 3D printing company founded? HP formally announced its entrance into the 3D printing industry in 2014, but has been around since 1939. What does this 3D printing company do? An “off world” 3D printing ecosystem. Why is it one of the most innovative 3D printing companies? Made in Space develops additive manufacturing technology for use in the space environment. Moreover, the company’s aim is to provide more sustainable manufacturing capabilities on demand, enabling the production of space assets in space rather than creating them on Earth and sending them up to astronauts. Working in partnership with NASA, Made in Space has set out to prove the advantages of manufacturing in zero gravity conditions. Not only do they promote printing on the International Space Station (ISS), the company is also researching ways to take additive manufacturing to harsher environments on more distant planets. 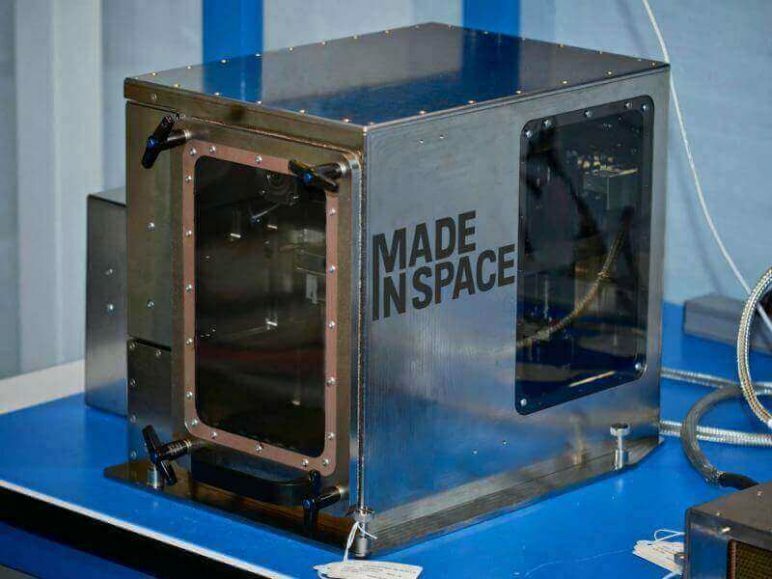 Made In Space has developed a zero-gravity 3D printer, a microgravity-optimized, miniature fiber drawing system, and the R3DO — a zero-gravity material recycler. This past year, the space agency has been developing the Archinaut, a 3D printing spacecraft that is capable of assembling large structures while in orbit. In addition, astronauts on the ISS have been using the startup’s Additive Manufacturing Facility (AMF), printing a number of items, including finger splints, tools, sculptures, and even other printer components. Who runs this 3D printing company? Co-founded by Jason Dunn (CTO) and Michael Snyder (Chief Engineer). President, Andrew Rush. What does this 3D printing company do? Desktop filament deposition 3D printers. Why is it one of the most innovative 3D printing companies? Across a global scene where there are hundreds of filament deposition desktop 3D printers, what makes a 3D printer company stand out? We believe a primary reason is being able to take quality and reliability of the machine for granted. And this is where Ultimaker has certainly made a name for itself. 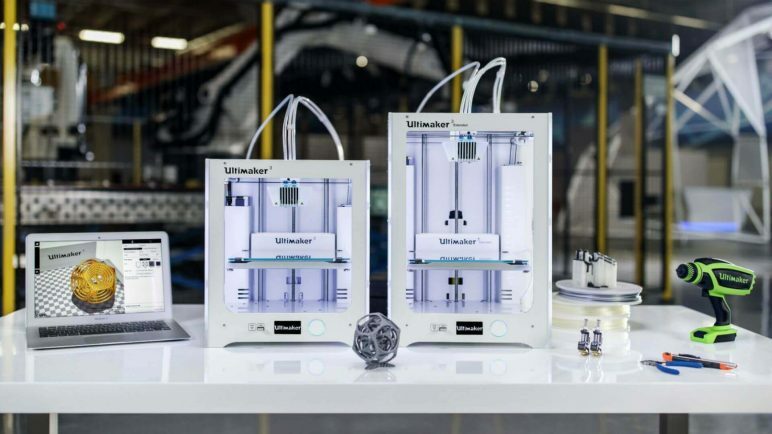 While the Ultimaker 2+ 3D printer was widely regarded as a quality desktop machine, their current flagship product, the Ultimaker 3, has taken the reputation of Ultimaker to a new level. Managing to maintain its commitment to providing open source hardware and software, the Ultimaker 3 is the company’s finest printer yet. After three years of development, their latest printer came equipped with dual extrusion and a number of new connectivity features. Although this $3,500 printer is meant for the desktop, it has proven to have value in industrial applications as well. For example, the automotive manufacturer Volkswagen is using the Ultimaker 3 to produce gauges, jigs, and fixtures on-demand and on-site. Who runs this 3D printing company? Founded by Martijn Elserman, Erik de Bruijn, and Siert Wijnia. The CEO is Jos Burger. What does this 3D printing company do? A global 3D printing service, connecting customers and printers locally. Why is it one of the most innovative 3D printing companies? At this point in time, with so many popping up across the world, 3D printing services can hardly be considered innovative. But the approach that 3D Hubs took is wholly original and is still one of kind. Since its launch back in 2013, the company’s growth has been fast and impressive. 3D printing services available for consumers, hobbyists, as well as industrial markets. 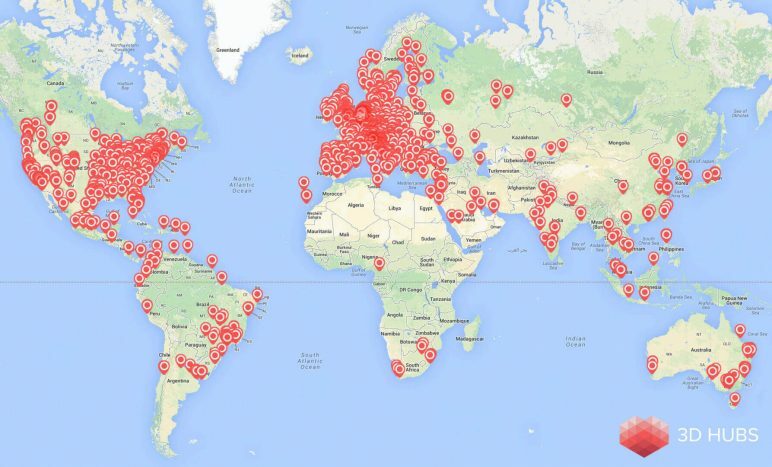 Essentially, 3D Hubs is enabling supply and demand of 3D printed parts, locally and providing an online platform and app to facilitate its ever-growing network. Over the last year, the Dutch startup has continued expanding and supporting the 3D printing community. Nearly one year ago, 3D Hubs secured almost $7 million in their Series B funding, setting the stage for the company to expand its platform further. Shortly after the investment, the startup acquired Printivate, a specialized service for optimizing and fixing 3D models. This service is being implemented into 3D Hubs to improve the handling of 3D models and printability. On top of that, the 3D printing service is also extremely supportive of the 3D printing community. They continue to release quarterly reports on 3D printing trends, and also host 3D printing competitions to promote innovation among students and makers. Most recently, 3D Hubs announced the addition of indirect metal 3D printing to its network. Instead of using an actual metal 3D printer, the company is using FDM printing to produce castings. What does this 3D printing company do? A 3D printer company which wants to save the world. Why is it one of the most innovative 3D printing companies? Just in case you think the above premise is an over-statement, first consider what the WASP acronym stands for: “World’s Advanced Saving Project.” From the outset, the vision behind WASP has been about making the world a better place with the ultimate goal of developing huge scale 3D printers to produce low-cost housing units that use low energy and local resources. Operating as a non-profit, WASP develops and sells various sizes of delta 3D printers to finance its vision. Last year, the organization revealed plans to construct an eco-friendly village in Italy using the world’s biggest Delta 3D printer. Since then, WASP has continued to offer some of the best, low-cost delta 3D printers on the market. This year alone, the organization has released three new 3D printer lines and two new extruders. What does this 3D printing company do? Open source desktop 3D printers. Why is it one of the most innovative 3D printing companies? 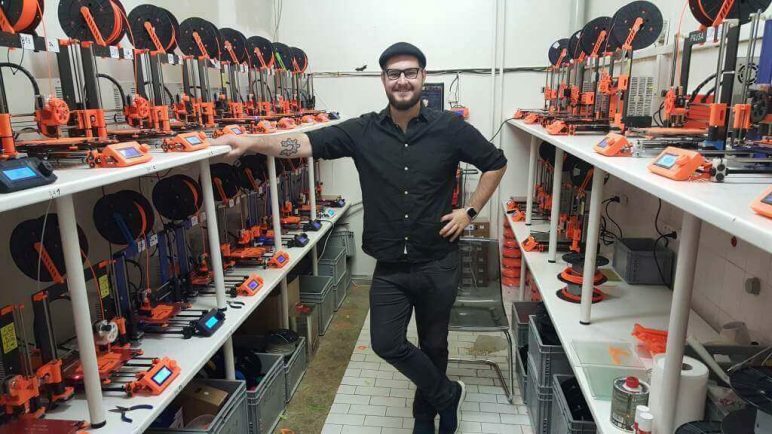 When it comes to desktop FDM 3D printing, no company has the kind of product and community that Prusa has built. 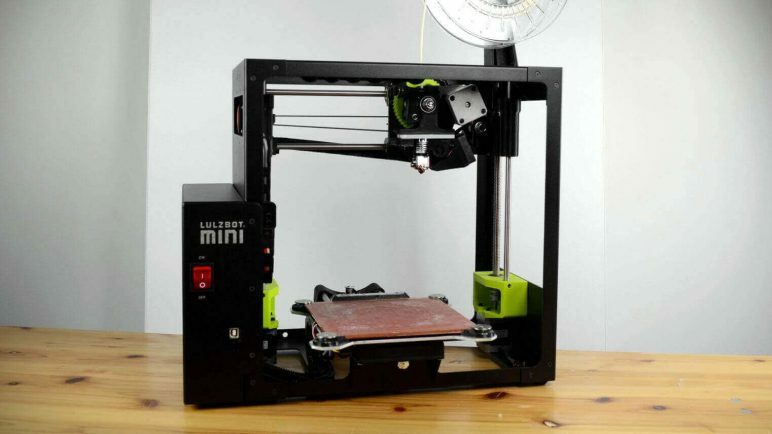 The RepRap-based Prusa i3 MK2 3D printer has become the most sought after desktop printer around. Currently, it takes about seven weeks just to get the printer kit delivered to you, yet it remains in a favorable spotlight for its unprecedented versatility, high quality prints, and low price. Over the last year, founder Josef Prusa has developed a multi-material upgrade kit for the MK2, allowing users to improve and expand their printing capabilities. More recently, the Prusa team has been developing more on the software side of things. First, they unveiled the Slic3r Prusa Edition 3D printing slicer, which includes awesome features like smooth variable layer height. The team has also developed PrusaControl, a simplified slicer that allows beginners to easily manage through their MK2 print settings. As this open source company continues to improve the entire workflow of their 3D printing system, it remains likely that they will remain the champions of open source desktop 3D printing. What does this 3D printing company do? Industrial-grade 3D printing technology and research. Why is it one of the most innovative 3D printing companies? Known as one of the largest manufacturing giants in the U.S., General Electric has made major strides in the 3D printing industry. In fact, the company launched GE Additive in order to fully focus on this emerging technology, and they’re been developing and acquiring companies ever since. 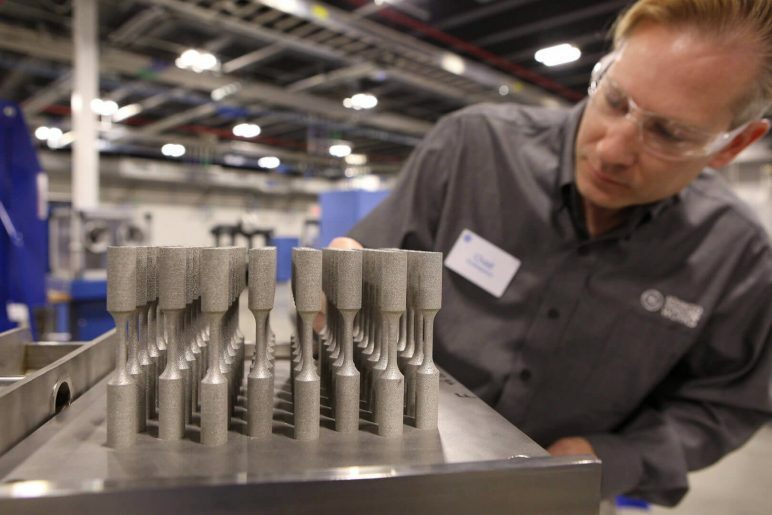 Back in 2016, GE Additive went all in on 3D printing technology, investing $1.4 billion to acquire two leading metal additive manufacturing companies, Sweden’s Arcam AB and Germany’s SLM Solutions Group AG. Shortly after the bid to acquire SLM fell through, the tech giant purchased a 75% stake in Concept Laser, another German company that develops powder bed-based laser additive manufacturing machines. Concept Laser’s product line offers both the largest and smallest build envelopes currently available on the metal 3D printing market. These printers are compatible with various powder materials, including titanium, nickel-base, cobalt-chromium, and precious metal alloys. The ambitions of GE Additive are no secret. Back in March 2017, GE Chairman and CEO Jeff Immelt revealed the company’s plan to sell over 10,000 3D printers over the next decade. More recently, they announced the development of the world’s largest metal 3D printer, which is scheduled to be released sometime next year. What does this 3D printing company do? 3D printer ecosystem for strong, reinforced prints. Why is it one of the most innovative 3D printing companies? Markforged was one of the first 3D printer company to focus on processing composite, reinforced materials. Their filament deposition platform can work with proprietary reinforced filament materials that incorporate carbon fiber, fiberglass, and even Kevlar. The result, according to the Markforged, is 3D printed parts that exhibit much more functionality, and in some cases parts that are 20 times stiffer than comparable plastic filaments. Over the last few years, Markforged has unveiled the Mark One, the first-ever printer that could print with carbon fiber. It then followed up with the Mark Two, another carbon fiber printer with a build volume of 320 x 132 x 154 mm and a resolution of 100 microns. 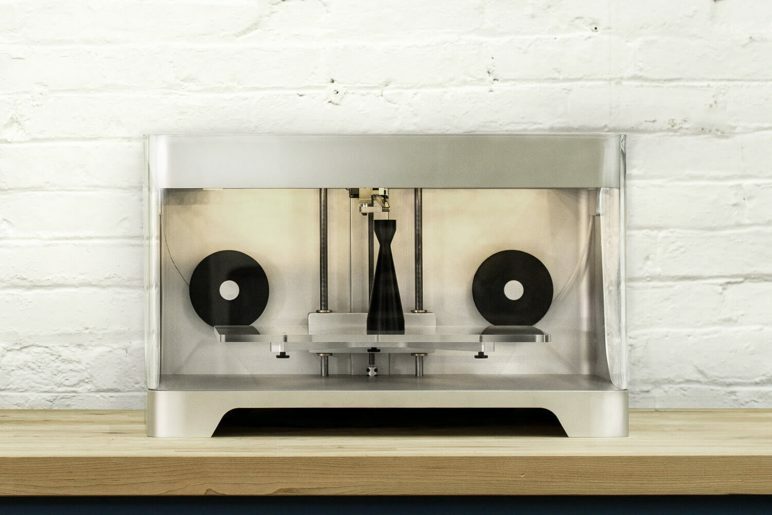 After that, Markforged took aim at the consumer market with the Onyx One 3D printer, a $3,500 carbon fiber printer. This year, the company released the Markforged Metal X, its first metal 3D printer capable of producing real metal parts out of powdered material. These parts then hardened under massive heat, allowing for strong and light materials. What does this 3D printing company do? Develops food 3D printers. Why is it one of the most innovative 3D printing companies? What good would a list of innovative 3D printing companies be without a nice lunch break? BeeHex is a B2B company that designs and builds fresh food 3D printers for commercial needs. 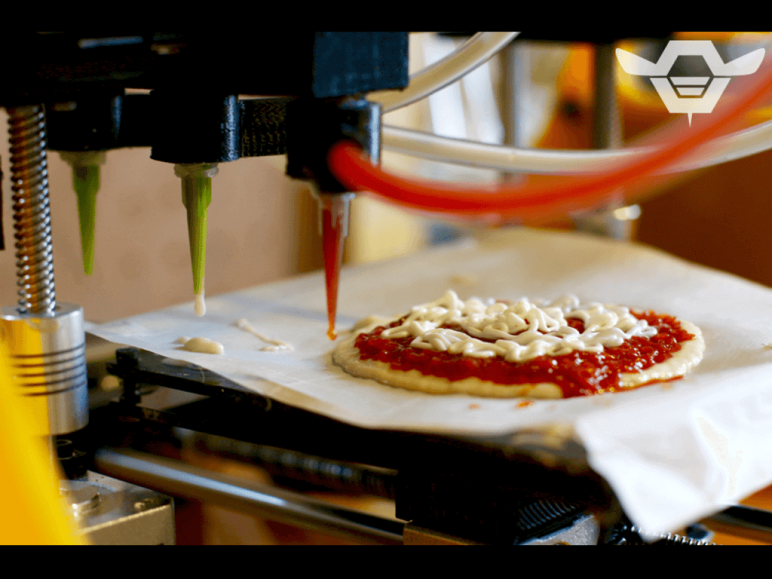 But before they were printing snacks on Earth, BeeHex was busy developing a pizza 3D printer for NASA astronauts to use while stationed in outer space. Since then, the Ohio-based company has been on a roll, recently raising $1 million in funding to help accelerate the completion its future product line. Their first printer, called Chef 3D, is able to produce and bake a pizza in less than six minutes, and will soon appear at select sports arenas, malls, and theme parks. What does this 3D printing company do? 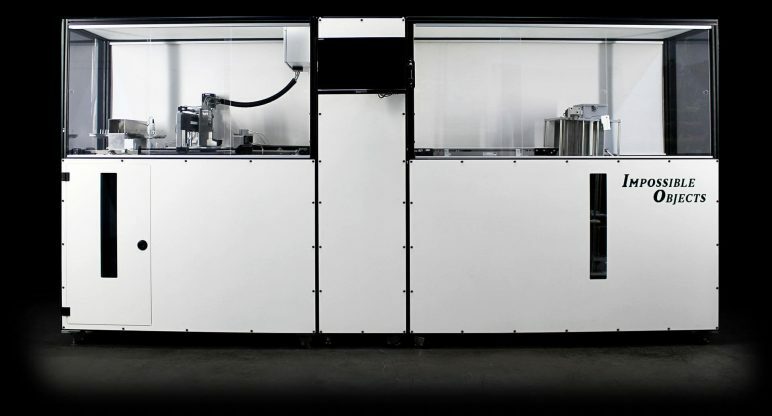 A large scale (1m³ build volume) filament deposition 3D printer. Why is it one of the most innovative 3D printing companies? 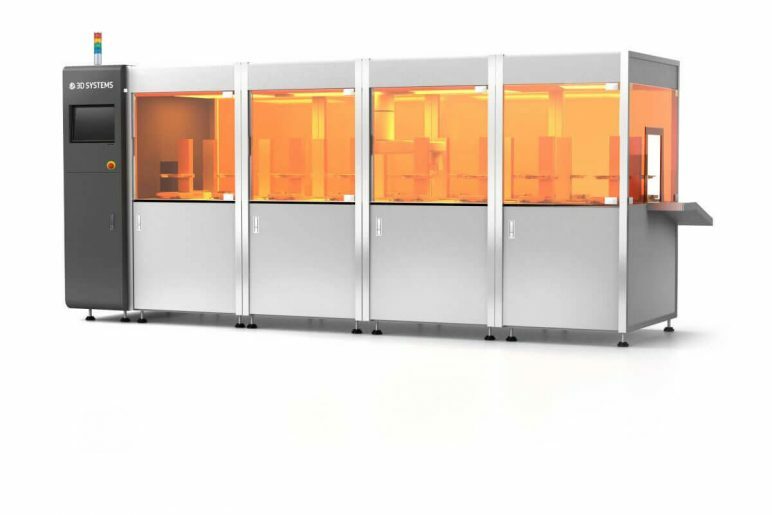 BigRep developed and commercialized the biggest filament deposition 3D printer to date. The BigRep One boasts a build volume of 1m³ and has found favor with engineers, architects, and designers that can now economically 3D print large parts, to scale, in a single build. The company has continued to improve their gigantic flagship printer, adding dual extrusion capabilities while tinkering to improve print speed and quality. The future of BigRep looks even brighter. The company is currently working to develop the Big Rep Studio One. This machine will have a print volume of 500mm x 1000mm x 500mm, enabling the production of large objects while also enabling high precision and faster printing. If you don’t have money or space to purchase these massive printers, BigRep also operates as a 3D printing service. What does this 3D printing company do? Open-source 3D printers, very much loved by the community. Why is it one of the most innovative 3D printing companies? The central premise of Lulzbot’s parent company, Aleph Objects, is the production of electronic and mechanical hardware using a fully open source approach. Applying this approach to desktop 3D printers resulted in the Lulzbot brand, which as a result of its commitment to an open source philosophy, is growing extremely fast. The Lulzbot Mini and Lulzbot Taz 6 printer, even while they sacrifice an elegant appearance for reliability and quality, are selling in impressive volumes, likely the result of the advantage of Aleph Objects being based in the US — a highly receptive market for open source products. This past year, the company has been busy partnering with companies like ColorFabb and IC3D, creating the world’s first-ever certified open source hardware 3D-printing filament. What does this 3D printing company do? Metal 3D printing startup. Why is it one of the most innovative 3D printing companies? The Chattanooga, Tennessee-based startup Collider is a 3D printer manufacturer that could give Desktop Metal a run for its level. Their flagship printer, the Orchid, is a safe, compact, and affordable printing system that is meant for manufacturing businesses and labs. The printing process is essentially a special combination of DLP technology and traditional plastic casting. The technique starts with a typical 3D design model. However, instead of printing the object itself, the Orchid produces a mold of this 3D model. The Collider printer then fills this 3D printed mold with a mix of metal powders and a liquid binder from “off-the-shelf” cartridges. The Orchid is not yet commercially available, but BETA machines are expected to ship at the end of 2017, while customer-ready machines are expected to ship in 2018. What does this 3D printing company do? Developed composite-based additive manufacturing method (CBAM). Why is it one of the most innovative 3D printing companies? Helping to advance both 3D printing technology to composite materials, Impossible Objects has made major strides with its composite-based additive manufacturing technology (CBAM). This unique process offers the ability produce stronger parts in a much faster way than traditional composite methods allow. In May, Impossible Objects announced the Model One, their first pilot printer that is compatible with materials like carbon fiber, Kevlar and fiberglass. The Model One 3D printer was named the winner of the RAPID + TCT Innovation Award for 2017 back in May. What does this 3D printing company do? A new automotive manufacturing model – on demand, locally. Why is it one of the most innovative 3D printing companies? 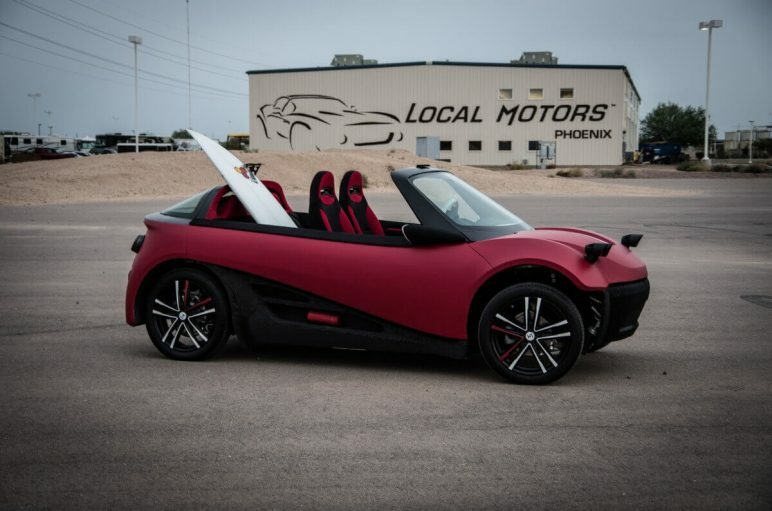 When it comes to innovation, Local Motors is literally driving over the boundaries — both with additive manufacturing and motor vehicle manufacturing. Local Motors is seeking to completely rethink how cars are made and supplied, with a focus on open source, co-creation, low volumes, and local manufacturing via multiple micro-factories. 3D printing is a cornerstone technology for their business model. To date, they have proven the concept with the Strati, the first “3D printed car” and has followed up with the LM3D (a highway-ready car) and OLLI, an autonomous electric-powered shuttle which they call ‘forward thinking transportation.’ The Strati has been making its way to various trade shows over the past year, and is the perfect example of what 3D printing can offer in regard to the automotive industry. What does this 3D printing company do? 3D Printer manufacturer. Why is it one of the most innovative 3D printing companies? Based in unny Barcelona, the 3D printing company BCN3D is flying the flag for open source and education. With machines like the BCN3D Sigma, a dual extrusion printer with an adequate build volume, they are proving that FDM 3D printers are still capable of innovation while reaffirming their dedication to the RepRap movement — the BCN3D Sigma is fully open source. This 3D printer company does not just design and building 3D printers, it also provides FabLab facilities for students from the nearby technical university and training classes for adult learners. 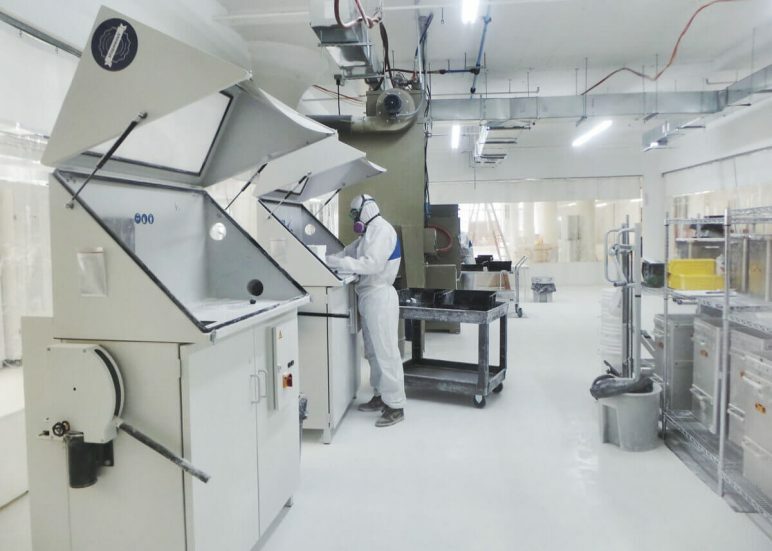 Moreover, the 3D printing company offers a full range of FDM, SLA and SLS additive manufacturing services, and is in the process of expanding distribution in Europe and the US. 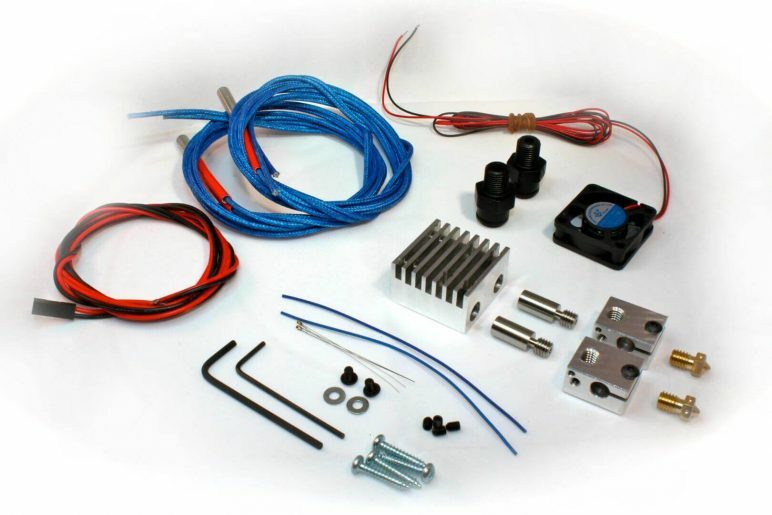 This past year, BCN3D Technologies released its reengineered Sigma R17 3D printer and the “Hotend Family,” a collection of six different hotends for the printer’s Independent Dual Extruder (IDEX) system. The company has also partnered on maker challenges and even collaborated with Spotify on a project for the Sonar Music Festival in Barcelona. Who runs this 3D printing company? CEO, Professor Roger Uceda. A spin out from the Barcelona-based tech university Universitat Politècnica de Catalunya and FabLab (Fundacio CIM). What does this 3D printing company do? Manufacturer of construction 3D printers. Why is it one of the most innovative 3D printing companies? 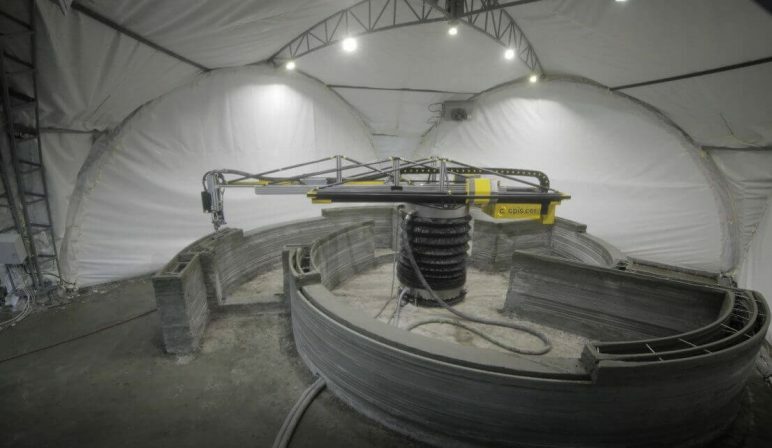 Back in March, a Russian company named Apis Cor went viral for a resilient construction 3D printing project. 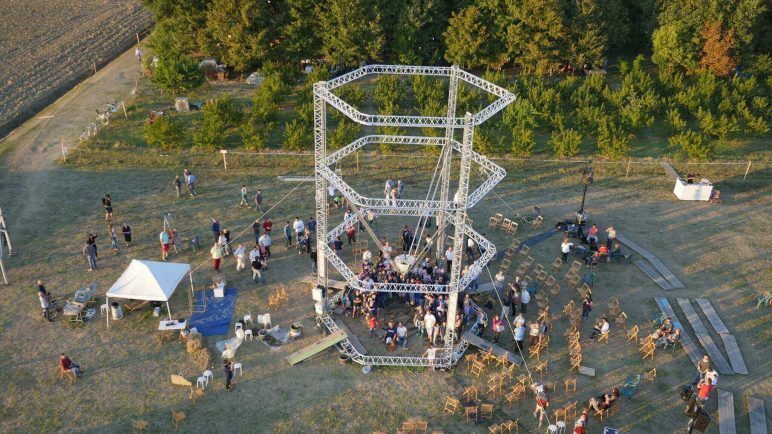 Their construction printer, which is suspended from a crane and is fully mobile, was able to print a structure in just 24 hours for around $10,000. All of the structure’s main components, including the self-bearing walls, partitions, and building envelope, are printed on site with concrete material. 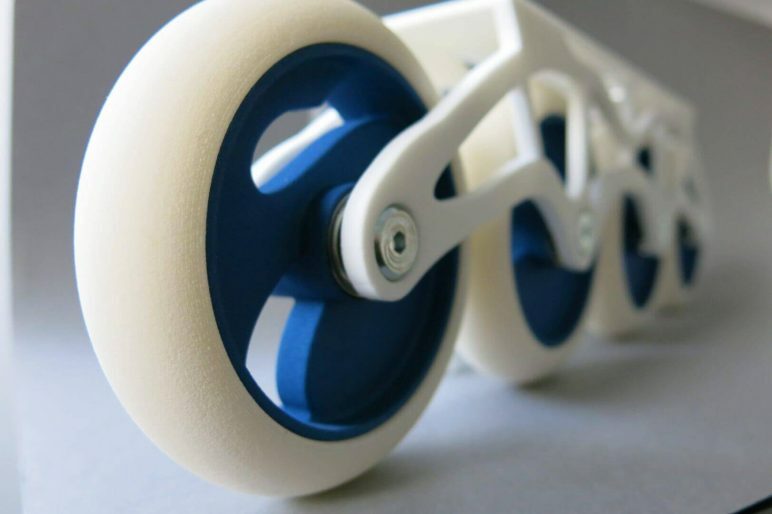 The mobility of this printer helps reduce the cost of transportation and assembly. The company is relatively fresh on the 3D printing scene, but this groundbreaking project showcases the true potential of 3D printing in the construction industry. What does this 3D printing company do? 3D printer filament developer. Why is it one of the most innovative 3D printing companies? When you need filament for your desktop deposition 3D printer, there’s a dizzying array to choose from. Whether that filament is recycled or glows in the dark, there’s something for everyone. But when you need the absolute best in quality, the market leader is ColorFabb — singularly focused on material development to deliver best-in-class performance. 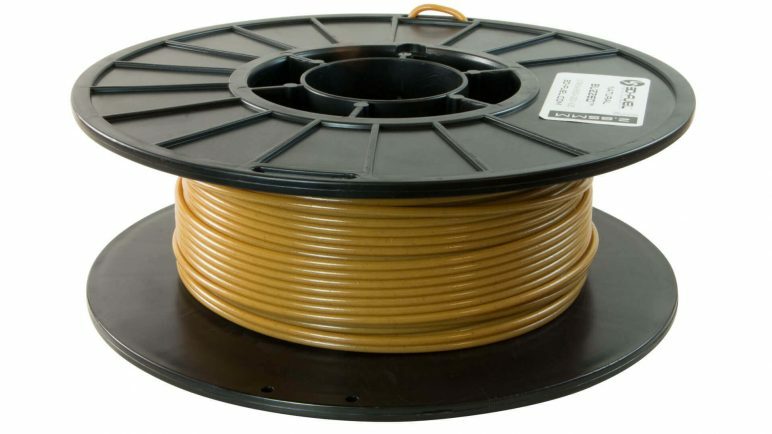 The company’s extensive material palette includes typical PLA offering along with Carbon Fibre reinforced filaments, co-polyesters like the nGen filament, and, of course, the metal-fill range of filaments (copper / bronze / brass / steel). Lately, ColorFabb has been focused on expanding its brand and overall operations. The company has partnered with 3D printer manufacturers like BCN3D and Lulzbot, and also moved into a larger facility earlier this year. Of course, they’ve still been developing new breakthrough 3D printing materials along the way. What does this 3D printing company do? Filament producer. Why is it one of the most innovative 3D printing companies? 3D printing technology is serious business, but there’s also an immense amount of fun to be had with this breakthrough technology. If you’re looking to print objects using whacky materials, 3D-Fuel is among the most innovative of all filament producers. Back in March 2016, 3D-Fuel LLC, 3Dom USA, and 3Dom Europe LLC teamed up to form 3DomFuel. Their aim is to produce high quality, sustainable, and functional materials, and they’ve gone to unique boundaries to do so. This 3D printing company has created filament from beer, coffee, hemp, and even trash. What does this 3D printing company do? Personalized 3D printed replicas. Why is it one of the most innovative 3D printing companies? 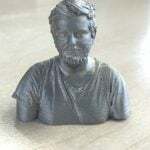 Doob Group is a 3D startup based in Düsseldorf that has achieved notable results in the huge business of 3D selfies using 3D scanning and 3D printing technologies in combination. While there are other successful stories in this segment, Doob is one of the only to offer an end-to-end solution — both with 3D software and 3D printing processes. They also have several branded brick-and-mortar stores with its proprietary “Dooblicator” photogrammetric 3D scanner. These stores are located in some of the biggest world capitals, including New York, Los Angeles, Tokyo, Berlin, and Barcelona. 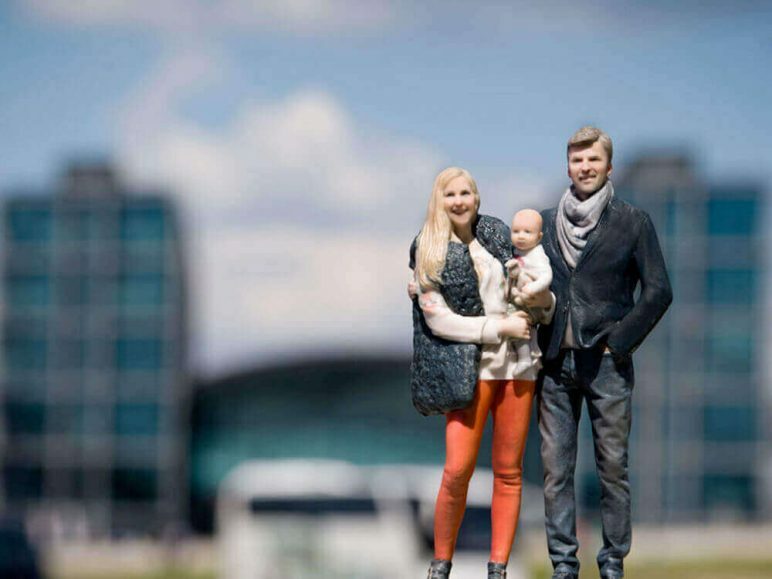 The physical photography business is just beginning, and 3D printing company Doob is poised to be at the forefront of its evolution and one of the most advanced 3D printing companies in their field. Earlier this year, the Australian 3D printing company 333D secured the exclusive rights to market Doob’s photogrammetry technology in Australia and New Zealand. What does this 3D printing company do? Provides a lot of innovative products and components for FDM 3D printing. Why is it one of the most innovative 3D printing companies? E3D is a 3D printing company that has gone transitioned from offering innovative hot-ends and 3D printers, to extrusion systems and filament. With the exception of software, they’re covering the entire desktop FDM 3D printing ecosystem. In almost every category that this company covers, E3D is considered to be best in class. Their operation is very engaged with the maker community, and this open dialogue with their customers and fans lends them a lot of grassroots support. After releasing the Titan extruder back in 2016, E3D unveiled the upgraded Titan Aero, a combination extruder and hotend that provides better control over the filament, enables more build height for printers, and reduces the overall mass of a 3D printer toolhead. What does this 3D printing company do? 3D printed electronics. Why is it one of the most innovative 3D printing companies? Nano Dimension is focused on the research and development of advanced 3D printed electronics. 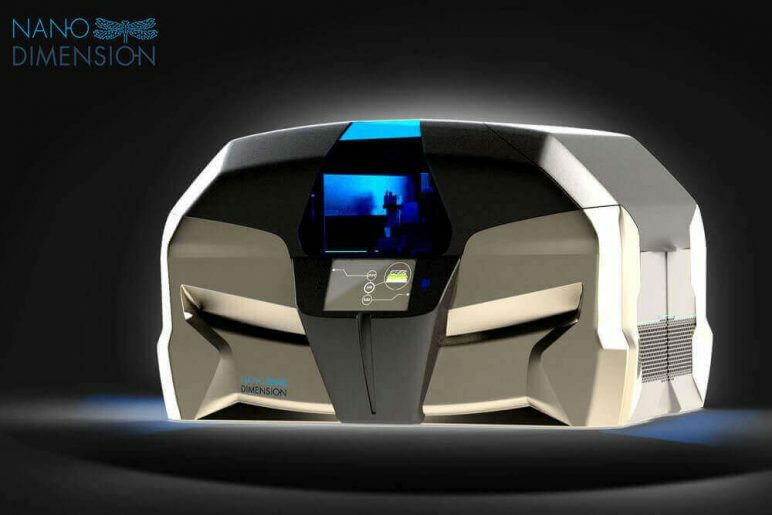 The Israeli company first introduced the DragonFly 2020 back in 2016, a 3D printer for multilayer printed circuit boards. Nano Dimension’s electronics 3D printer is the result of combining advanced breakthroughs in inkjet technology, 3D printing, and nanotechnology. Since then, Nano Dimension has been delivering the DragonFly 3D printer to multiple customers, from undisclosed Fortune 500 companies to an Israeli medical marijuana company. 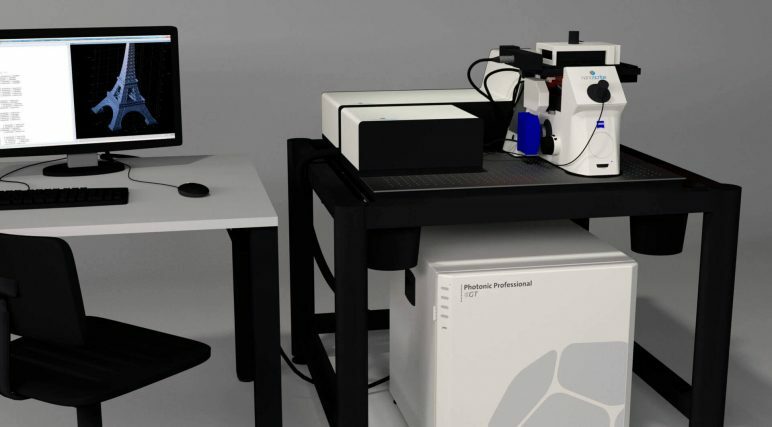 The company has also raised a massive amount of funding over the past couple of years ($4.7 million from investors in June 2017), and have also expressed interest in bio-printing through a patent that they recently filed. Most recently, Nano Dimension developed a method to create novel copper nanoparticles that are resistant to oxidation and fuse into a conductive line after the sintering process at temperatures lower than 160 degrees Celsius. What does this 3D printing company do? 3D printing construction. Why is it one of the most innovative 3D printing companies? The San Francisco 3D printing construction startup Cazza became a big name in the 3D printing industry back in 2016. As a part of Dubai’s highly ambitious “3D Printing Strategy,” the government announced a collaboration with Cazza Construction Technologies, which is helping the country develop automated construction technology. Shortly after, Cazza announced their plan to create a 3D printed skyscraper in Dubai with a technique called “crane printing,” which can allegedly build 3D printed structures that measure up to 80m and more. 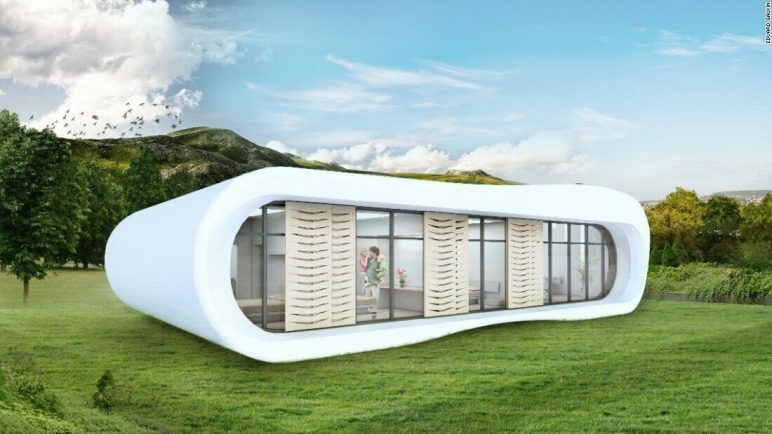 In June 2017, the startup unveiled the Cazza XI, a 3D printer that is capable of constructing entire houses, villas, office buildings, and other structures. This construction printer is a mobile tracked model that is capable of creating structures that are up to three stories high. What does this 3D printing company do? 3D printed prosthetics. Why is it one of the most innovative 3D printing companies? UK-based robotic arm and prosthetics firm Open Bionics. Not only has the startup managed to greatly reduced the price of prosthetics, making them more accessible to all, they’ve also made assistive devices cool to wear, especially for children. 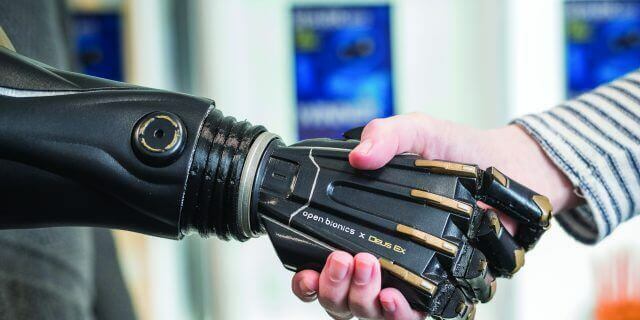 In recent years, Open Bionics has collaborated with Disney to create superhero-themed prosthetics, based on the characters from films like Iron Man, Frozen, and Star Wars. Following in line with their focus on accessibility, the startup is also fully open source, which has helped fuel their global community. The firm was recently awarded with £100,000 in funding from the Small Business Research Initiatives scheme. They’ve also launched a National Health Service (NHS) trial for children living with physical disability. This six-month trial will showcase the feasibility of their technology and product in a medically professional setting. Not to mention, their Deus Ex-themed prosthetics are pretty badass as well! What does this 3D printing company do? Professional desktop FDM 3D printing in Poland. Why is it one of the most innovative 3D printing companies? Based in Poland, Zortrax is one of the most well known manufacturers of FDM desktop printers. Both the Zortrax M200 and M300 printers have received positive reviews when were released a couple of years ago. Now, the company is ready to expand upon that success with the highly anticipated release of the Zortrax Inventure, a printer that was first announced in 2015. This printer will offer a 135 x 135 x 130 mm build volume and a resolution of 90-200 microns. The Inventure will also include a HEPA filter, eliminating toxins that may result from extruded material. In addition to the release of the Inventure, Zortrax also unveiled Dissolvable Support Station (DSS), two new materials (Z-PLA Pro and Z-ASA Pro), and the new version of their Z-Suite software. All of these products were showcased at the Zortrax Experience Conference, a company-hosted event hosted in Olsztyn, Poland back in June 2017. With a barrage of new products and a potentially groundbreaking printer, Zortrax definitely earned a place on our list of innovative 3D printing companies. What does this 3D printing company do? Nanoscale 3D printing technology. Why is it one of the most innovative 3D printing companies? Based out of Germany, Nanoscale GmbH is on the forefront of developing 3D printing technology that operates on the nanoscale. The company’s Photonic Professional GT printers provide sub-micrometer features with optical quality surface finishes. These research-driven printers are generally used for applications that include biofabrication, optical interconnects, microfluidics, metamaterials, microrobotics, and more. More recently, Nanoscribe used their 3D printers to develop micro-robots for use within the human body. These tiny robots could potentially be used to help fertilize eggs or even fight cancer in the future. While this research firm is unlike most featured on our innovative companies list, their groundbreaking work with micro-scale 3D printing surely deserves to be mentioned. What does this 3D printing company do? Extremely low-cost desktop 3D printers. Why is it one of the most innovative 3D printing companies? Know as a general electronics company prior to entering the 3D printing market, Monoprice is slowly gaining a hold on the low-end 3D printing market. For just around $200, 3D printing beginners and those on budget have access to a fair quality printer like the Monoprice Select Mini or the upgraded MP Select Mini V2. More recently, the California company launched an Indiegogo campaign for its new Delta-style printer, the MP Mini Delta. 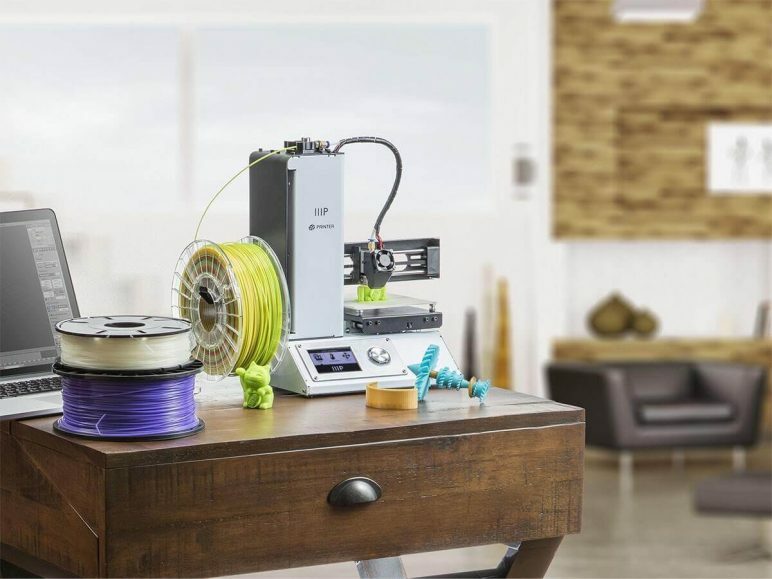 Although Monoprice 3D printers aren’t groundbreaking in regard to functionality, the exceptionally low price point earns them a spot on our innovative companies list. These printers are among the most affordable on the market, and work pretty darn well for what they cost. What does this 3D printing company do? Manufacturer of professional-grade additive manufacturing systems. Why is it one of the most innovative 3D printing companies? Originally established in 1989, Stratasys has continued to be a trailblazer for professional-grade 3D printing technology. The company’s industrial systems have served many users in the past, but the Minnesota-based manufacturer has continued to expand where they see fit. This past year, Stratasys launched the F123 Series, a compact 3D printing system best-suited for the office or workshop environment. From the aerospace industry to high-end fashion, Stratasys 3D printing technology has served a wide range of applications. In addition, Stratasys has also created new materials to promote greater rapid prototyping capabilities. It’s also worth mentioning (for those who are unaware) that the company owns Makerbot, which in turn owns the 3D printing marketplace Thingiverse. Although Makerbot has recently struggled with a few rounds of layoffs, the company is still a leader in the desktop 3D printer scene. Even major companies like Lockheed Martin have made use of Makerbot machines. Meanwhile, Thingiverse continues to hold the post as the community’s leading 3D printing marketplace. Why is it one of the most innovative 3D printing companies? Similarly to Stratasys, the South Carolina-based company 3D Systems has a historic presence in the 3D printing industry. Established in 1986, founder Chuck Hull is championed as the father of stereolithography. Although their attempt at desktop 3D printing didn’t pan out quite like most had hoped (the product line was discontinued back in 2016), the company is still a market leader when it comes to industrial-grade additive manufacturing systems. 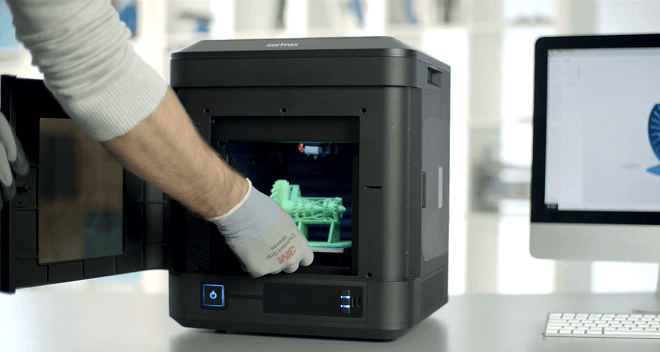 This past year, 3D Systems unveiled the Figure 4, their first scalable and fully-integrated additive manufacturing platform. The system is capable of producing mass customized and end-use parts, and is said to print at around 50 times the speed of other SLA platforms. What does this 3D printing company do? Leading manufacturer and provider of Direct Metal Laser Sintering (DMLS) systems. Why is it one of the most innovative 3D printing companies? 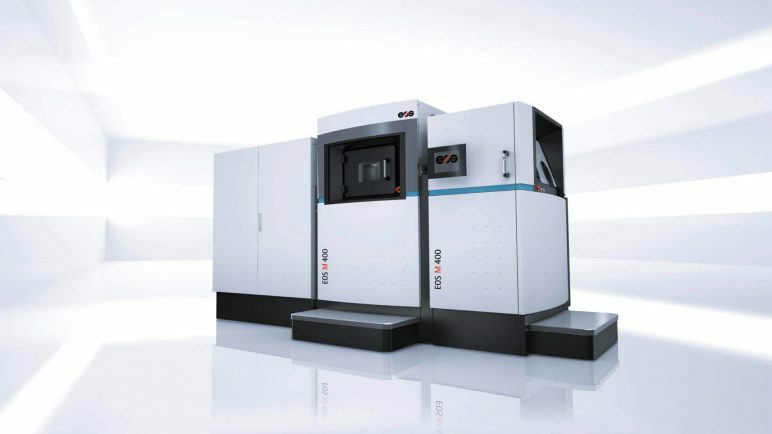 The German company EOS is considered by many to be the leader of metal 3D printing technology. While new companies like Desktop Metal are aiming to undercut the company by offering faster and more affordable options, EOS still remains the most established expert on metal-based additive manufacturing. More recently, the manufacturer has been focused on improving the overall workflow of their systems. This past year, EOS launched Life Cycle Solutions, its new customer support group for the region of North America. The company has also partnered with Premium AEROTEC and Daimler on the NextGenAM project, which will aim to make metal 3D printing a more viable solution for serial manufacturing. On the software side of things, EOS also unveiled EOSTATE Exposure OT, the first commercial optical tomography system for additive manufacturing. The manufacturer’s metal 3D printing prowess has gained them an impressive list of clients. For example, EOS recently integrated its additive manufacturing system at the Audi production facility in Ingolstadt, Germany. What does this 3D printing company do? 3D printing service bureau. Why is it one of the most innovative 3D printing companies? With bases in both the Netherlands and New York City, Shapeways is among the most dependable and high-quality 3D printing service bureaus around. By putting an emphasis on the 3D printing community, users are able to open up shops and sell their product straight on the company’s website. Shapeways offers an advanced array of materials, including porcelain, sandstone, and plated metals. 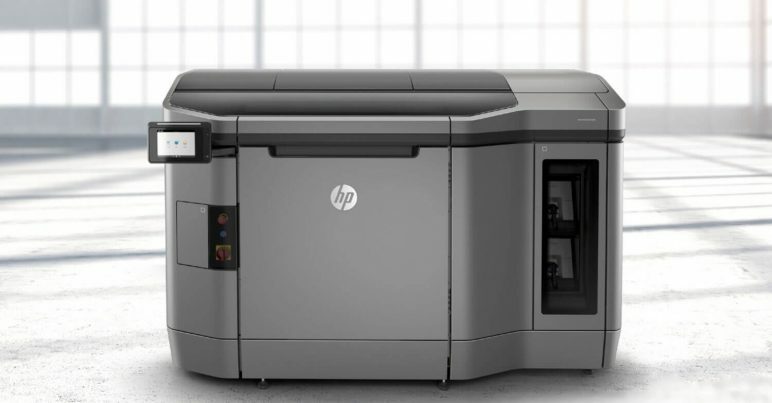 The startup was one of the first to receive the HP Multi Jet Fusion 3D printing system, allowing a select number of customers to start ordering prints with this highly anticipated technology via their early access program. Why is it one of the most innovative 3D printing companies? On par with Shapeways, the Belgium-based company Materialise specializes in 3D printing services and software development. 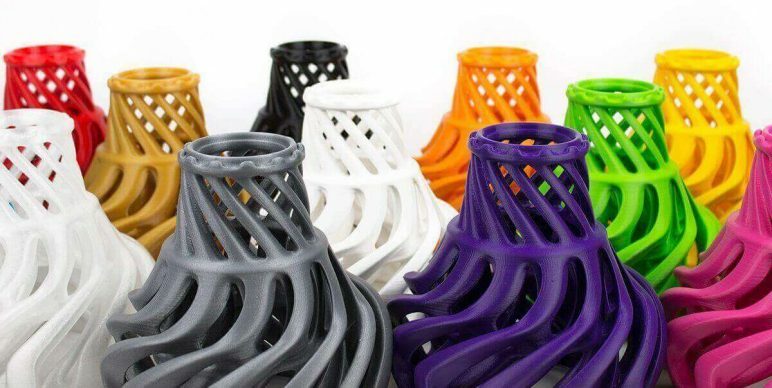 The 3D printing service branch of the company, called i.materialise, offers 20 different materials and over 100 possible color and finish combinations. 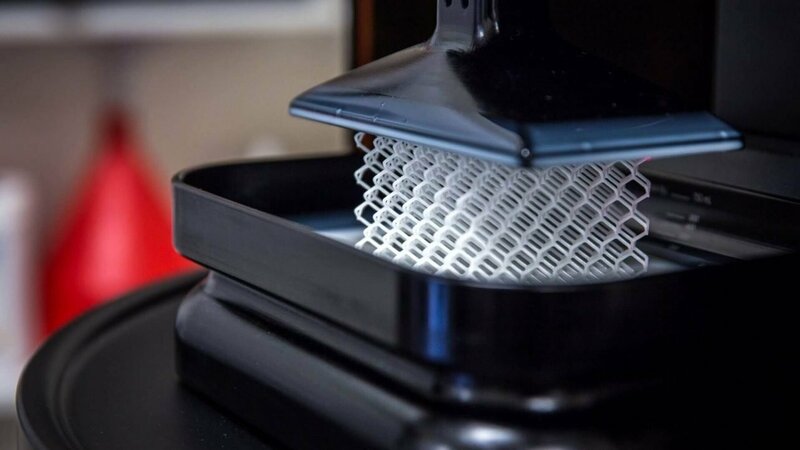 Materialise focuses on additive manufacturing software and rapid prototyping. The company recently struck up a partnership with Nuova Società Piemontese Automobili (SPA), working to produce 3D printed upgrades for the classic Bicicletto e-bike. More recently, they also helped the eyewear brand Cabrio to produce 3D printed glasses that have a finish similar to automotive interiors. All in all, Materialise offers much more than just a 3D printing service bureau, it is also pushing the industry forward with innovative products and constant collaboration. Why is it one of the most innovative 3D printing companies? The last of the “Big 3” 3D printing service bureaus on our list, the French company Sculpteo has also gained a reputation as an industry pioneer. There are a few things that set this service apart from the rest of the pack. For starters, Sculpteo was one of this first to get their hands on Carbon’s CLIP technology. They also go beyond 3D printing technology, offering services like laser cutting and engraving. 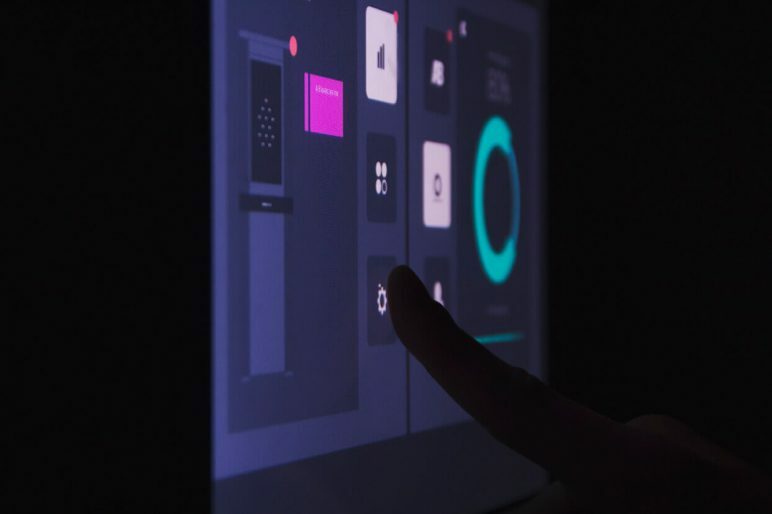 At CES 2017, Sculpteo unveiled a software suite to expand their capabilities even further. The recently unveiled Agile Metal Technology software provides automation, management, and optimization for the process of metal additive manufacturing. This will help will discover and fix designs ready for metal 3D printing, greatly increasing print success. The French 3D printing service bureau also offers a wide range of high-performance materials, the most recent being CarbonMide, an extremely stiff, strong, and light material for professional 3D printing. What does this 3D printing company do? 3D printing for automotive industry. Why is it one of the most innovative 3D printing companies? Of all the industries that are being revolutionized by 3D printing technology, the automotive sector stands to benefit more than most. Outside of Local Motors, other companies are pushing to integrate additive manufacturing into the vehicle production process. The Los Angeles-based startup Divergent 3D is poised to lead the race. Two years ago,Divergent 3D unveiled the world’s first 3D-printed supercar, called Blade. Meant to showcase the potential of their technology, the Blade has been zipping around to trade shows like the LA Auto Show and CES (it even made its way into Jay Leno’s garage). 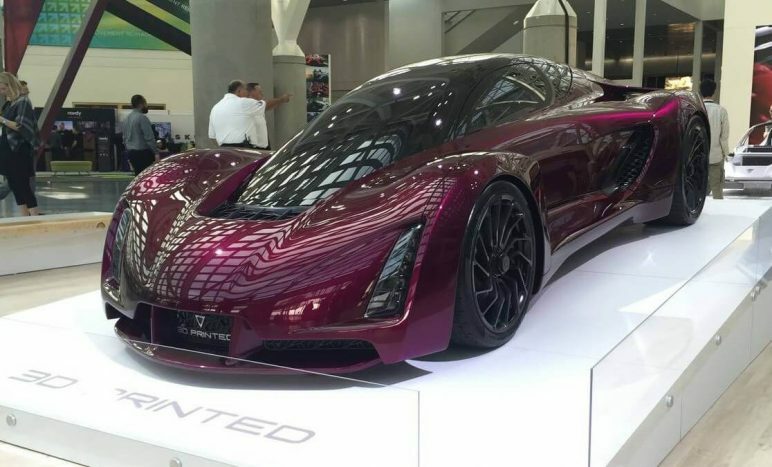 The company’s 3D printed supercar seems to be impressing the masses, as Divergent 3D started off 2017 by raising $23 million in its Series A funding round. Additionally, the automative 3D printing startup also has a longstanding partnership with PSA Group, the carmaker behind the Peugeot, helping to make these vehicles more affordable and environmentally friendly. What does this 3D printing company do? Professional-grade additive manufacturing systems aimed at a wide range of industries. Why is it one of the most innovative 3D printing companies? When it comes to innovation in the year 2017, the French 3D printing company Prodways Group has been leading the charge. Over the past year, Prodways has released a slew of new printers, including the dental industry-aimed ProMaker series. More recently, the French company announced a partnership with the sportswear giant Nike, revealing that it would help develop 3D printed shoes to reduce manufacturing cost and time, while also enhancing performance of Nike’s footwear. The 3D printing manufacturer also launched its new Rapid Additive Forging (RAF) 3D metal printing technology in June 2017. The process enables the printing of large titanium parts for critical applications in use of industries, particularly with the aerospace sector. As you can probably see, Prodways Group has been cultivating innovation in a wide range of fields, making them one of the most active 3D printing companies of the year thus far. What does this 3D printing company do? Pioneering software company for 3D modeling. Why is it one of the most innovative 3D printing companies? From the pure standpoint of 3D printing, the software pioneer Autodesk had a relatively rough year. After CEO and President Carl Bass announced would be stepping down from his position back in February, the company announced that they would be discontinuing production of the Ember, the open source SLA printer that was introduced back in 2014. 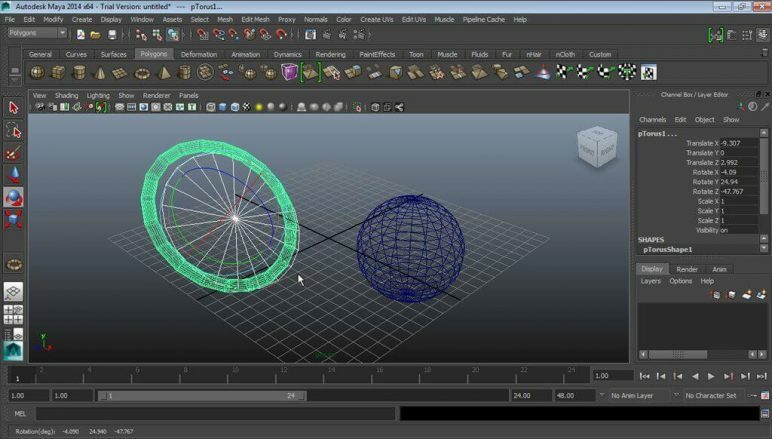 Regardless of these pitfalls, Autodesk still rules the CAD and 3D modeling software world. From 3ds Max to Fusion 360, this California-based software developer is the best in the business when it comes to the landscape of 3D design. What does this 3D printing company do? 3D printed footwear and midsoles. Why is it one of the most innovative 3D printing companies? Wiiv Wearables is a biotech company that produces custom-fit insoles and footwear. Established in 2014, the footwear manufacturer uses a proprietary 3D-mapping and advanced computer vision technology that is accessible to all customers directly from their smartphone. This enables users to digitally map their foot and have Wiiv produce an insole that fits their performance needs. 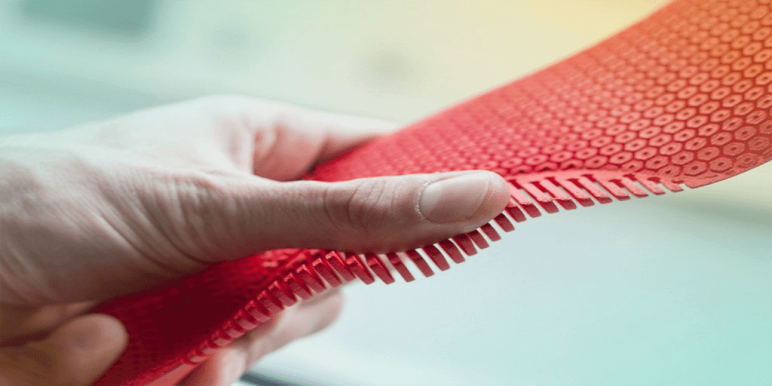 Since they launched their crowdfunding campaign for the BASE insole back in 2016, the company has sold 15,000 custom insoles. This year, Wiiv is taking its capabilities to the next level. The biotech company recently launched a Kickstarter campaign to produce customized 3D printed sandals. What does this 3D printing company do? Production-grade additive manufacturing for electronics, metals, and more. Why is it one of the most innovative 3D printing companies? As a leader in 3D printed electronics and metal, the New Mexico-based company Optomec has undoubtedly earned a spot on our list. Best known for developing Aerosol Jet technology for the production of flexible electronics, Optomec showcased these systems in action for the first time at the SEMI FlexTech conference in June 2017. The 3D printing manufacturer has gained a massive amount of recognition on the industrial side of things, striking up collaborations with GE and Lockheed Martin. More recently, Optomec was awarded with a NASA SBIR contract for the development of an Adaptive Laser Sintering System (ALSS). The goal of this contract is to develop a fully automated curing system for 3D printed electronics. License: The text of "Best 3D Printing Companies of 2017 – The 40 Most Innovative" by All3DP is licensed under a Creative Commons Attribution 4.0 International License.